SmartGallery.io is a software product designed for real estate professionals like real estate brokers and marketers, photographers, Matterport scanners and others. SmartGallery.io makes it easy to present digital material of properties. You can use photos, floor plan images, videos and Matterport 3D showcases to create elegant single-property websites. Adding contact information enables the websites to generate leads for the properties. Read more about the features of SmartGallery.io below! 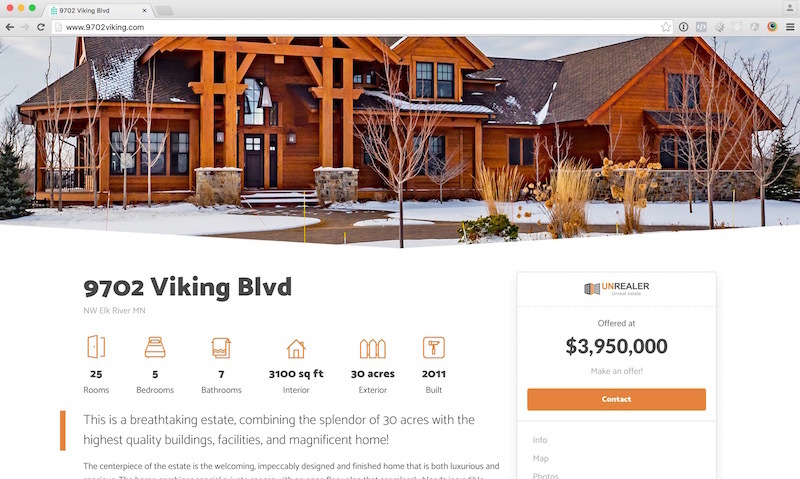 SmartGallery.io generates automatic, stylish property websites of your listings. Combine photo gallery, video tour, Matterport model and more into a stunning property website. Include agent information to generate leads for the property. Elegant photo gallery with floor plan is the best way to present your photos. Embed Matterport 3D showcases with your own brand into the property website. Enhance your property website by attaching video tours or walkthroughs. Where's the property located at? Highlight the location of the property in Google Maps. Let the visitor know about the exact specifications of the property: interior and exterior areas, the number of rooms/bedrooms/bathrooms and more. Generate leads for the property by adding agent contact info in the website. The website also includes a quick contact form. See how your property website is performing: number of unique visitors, most common visitor locations and more. The generated property website is automatically optimized for search engines. Define a custom description that will show up in search results. 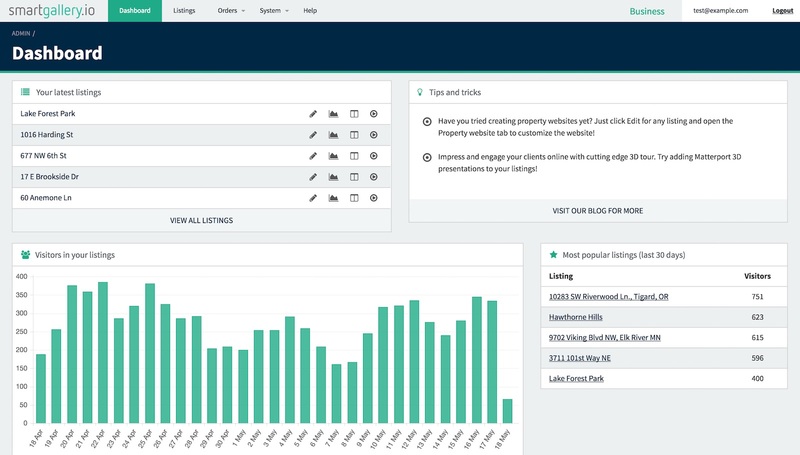 Manage all your listings in one place. Using the admin dashboard you can easily create content for the media player and the property websites. 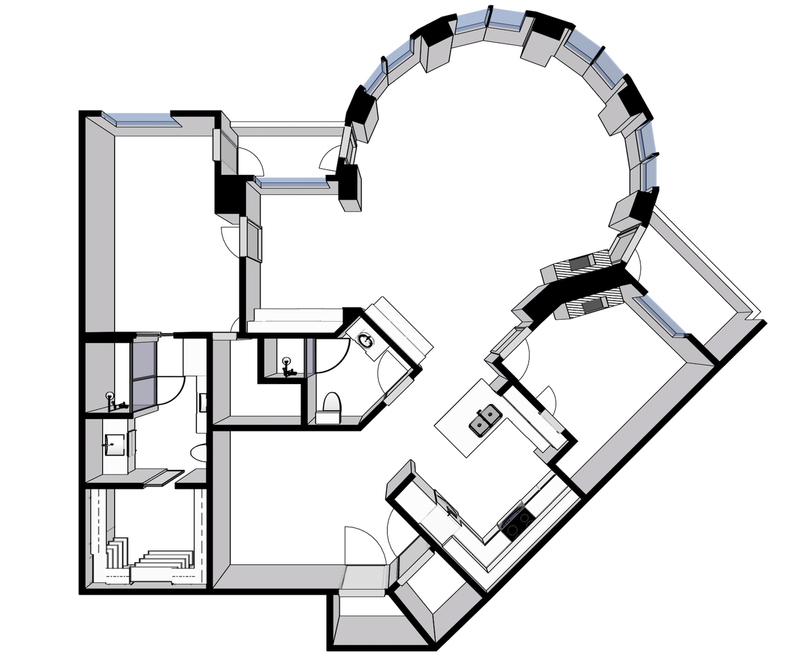 Need a floor plan for a property? Not aproblem, just submit an order through the admin dashboard! Keep your property listings and associated media in one place. Easy creation process for new listings. Allow multiple people to access the admin portal and manage listings. See how your all your listings and property websites are performing. Define logos and brand colors for your customers and use them in your listings. Super easy ordering of high quality digital floor plans and 3D models. Just upload a sketch or a photo of printed floor plan and we'll handle the rest. Order high quality floor plans from sketches or Matterport models through our admin dashboard. Delivery time: one business day. Use your floor plan images to generate Archilogic 3D models of properties. Get 10% discount by ordering through our tool. Enjoy the full power of SmartGallery.io during the trial. No credit card required, just provide us your company name and email address. Your personal information is only used for contacting you about your SmartGallery account and any updates to the service. The provided information is not shared to any third parties. If you like to request a copy of your records or have your records deleted, please contact using the above form. © Copyright 2019 - Unrealer Inc.